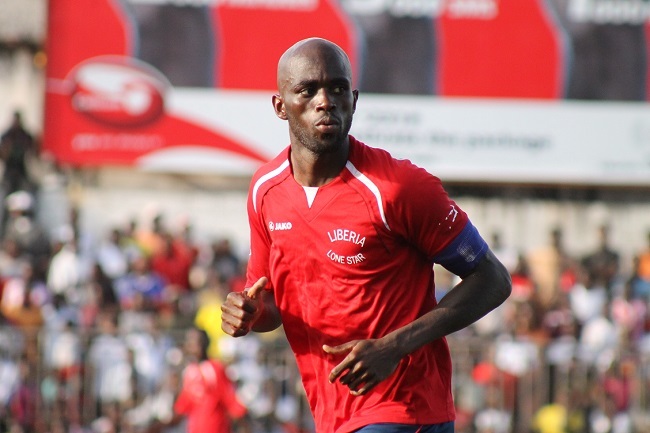 Blaming Liberia’s failure in the African Nations Cup qualifiers squarely on government and the Liberia Football Association (LFA), captain Anthony Laffor on Sunday quit international football following a 2-0 loss to Lesotho. He said his decision was based on the failure of the Liberian government and the LFA to adequately support national football development. The South African-based player said not much was being done to improve the standard of the game in Liberia. Laffor said the end of his international career will see him focus entirely on his club, Sundowns. He wished the Liberian national football team, also known as the Lone Star, well in future competitions. The Lone Star skipper said the captain’s armband will officially be turned over to the LFA soon despite being unclear as to whether the Lone Star Italian manager Roberto Landi was aware of his decision. Prior to the Lone Star departure for Lesotho, Laffor told the Liberian media that the policy of rotating players on Lone Star was hampering team spirit. He said they have not yet as players of the current generation seen themselves playing as a team as new faces were always on board for every encounter. The last time Liberia qualified for the African Nations Cup finals was in 2002 in Mail with a set of players dubbed Weah 11. They did not make it beyound the group stage of that tournament. Meanwhile, the Crocodile of Lesotho thru two first half goals on Sunday ended the Lone Star’s adventure in the qualifiers with a 2-0 win. Lesotho moved to the next stage with a 2.1 aggregate after losing the first leg 1-0 in Monrovia. Lesotho faces Kenya in the next round. Lone Star’s defeat to the Crocodile has confirm that the red, white and blue is poor away after statistics revealed that Liberia has not brought back home fruitful result since September 8, 2002.